It’s been a charitable few weeks for the Katch International team as we extended our hands to hand out Ramadan packages to the blue coat workers in Al Barsha with the Quintessentially Lifestyle team and other volunteers from around the city. Care packages were handed out to the workers as just before the start of Ramadan to support with care during the holy month. We were also very ‘blessed’ to have been asked to support a truly inspiring homegrown brand on National Cancer Survivors Day, which was on the 4th June at the amazing Mojo Gallery in Al Quoz. Blessed is a support group for cancer survivors, patients and anyone who has been touched by the disease. From 10:00 am until 8:00 pm. 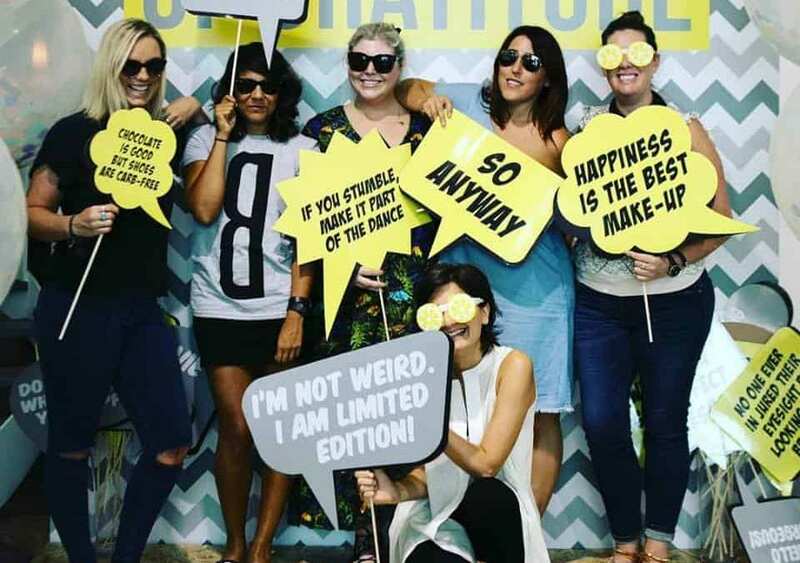 members and general public were invited to the gallery to cruise through the elegant new fashion creations at the pop up store, where all the proceeds go toward helping cancer patients while connecting with a few likeminded souls and making memories at the photo booth. Hatty Pedder, the renowned exhibiting artist at Mojo Gallery was present and did what she does best which is provide guests with personalised bespoke gifts by drawing live making it a fashion filled fun day. Of course the most important part of the day was to create awareness of Cancer survivorsand ongoing support and this was highlighted by the co – founder and creative director of Blessed, Lama Riachi who is also a cancer survivor. Having been through such a life changing experience, Lama shared her story as well as educated guests about Blessed which is dedicated to providing emotional, educational, and spiritual as well as ﬁnancial support to anyone whose life has been touched by cancer. “It’s so wonderful to see such a great turnout and support for blessed on such an important day. Blessed is dedicated to cancer patients where we aim to spread an attitude of gratitude and continuously seek to create awareness” says Lama. Amongst the speakers was Dr Layla Lahoud who introduced the concept of preventive medicine as well as provided more information on preventive oncology. A practicing physician and leading preventive medicine specialist from Lebanon, Dr Layla has been a constant voice in international panels and has made it her mission to help people identify the preventive factors that can be used to ensure a longer, healthier and better quality of life.